Bruce Shaw introduced his No. 1 Sure Death trap in 1909 as “sure death” for mink, marten, muskrat, weasel, rabbit, pocket gopher, moles and rats. At the time, he managed the Davenport Trap Co., Davenport, Iowa, which is where the trap could be ordered. He was awarded a patent in 1912 for the trap, which he described as a double-steel-ring choker with six steel finger triggers. To illustrate how the trap should be set for mink, Shaw showed a hole being dug the diameter of the circles then the trap being placed in the hole with bait on the trigger fingers. To catch a muskrat, he advised simply setting the trap in a den hole, same as a 110 bodygrip might be used today. For pocket gophers, he reversed the trap so the trigger fingers extended above the hole. With the trap set that way, a gopher exiting the hole would be well in the circles before it fired. Davenport Trap Co. 1911 Trapper’s Guide also lists a No. 3 Sure Death with bigger 5-1/2-inch circles and a foot pedal trip. The No. 1 Sure Death’s steel circles were 4-1/2 inches diameter. A No. 4 Sure Death is also listed. It, too, had 5-1/2-inch circles but a crescent-shaped trip. A patent for these later Sure Death traps was not awarded until 1913. In 1911, Shaw had been awarded a patent for Shaw’s Drowner, a triangular piece of sheet metal attached to a length of wire that worked like a modern slide-wire drowner. 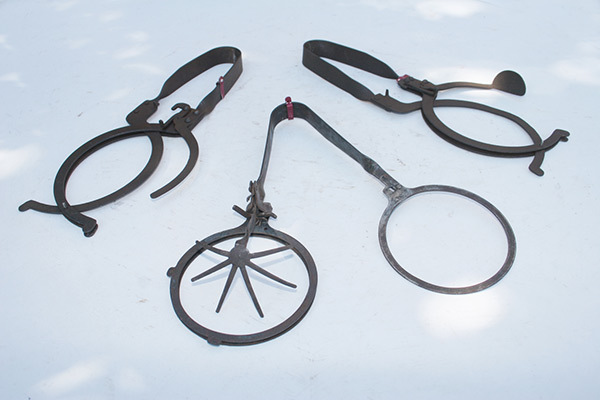 As the animal took the trap down the wire to deeper water, the chain ring would also slide beyond the metal wedge, and the animal would not be able to return to the surface. An ad in the March 1911 Trappers World lists the company as Trapper’s Supply Co. In 1913, Shaw moved to Oak Park, Illinois, where he reestablished the mail-order Trapper’s Supply Company, now selling Sure Death Traps, Shaw’s Drowner, Shaw’s Pneumatic Smoker, and Alligator Game Traps (awarded a patent in 1914). 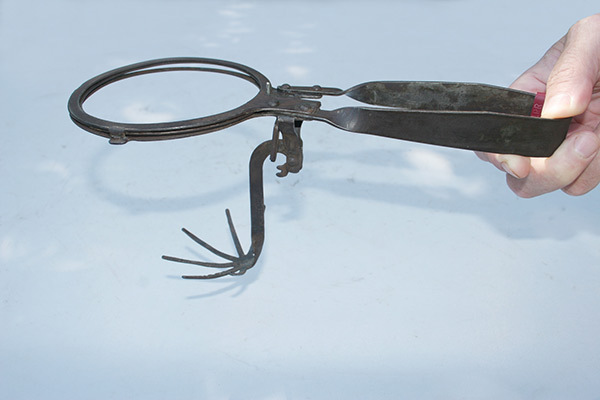 The Alligator Trap was first offered in No. 1 size, bit a No. 2 was added later that same year. Trapper’s Supply Co. remained in business until 1916, when Shaw switched instead to making automobile accessories. The six-finger No. 1 Shaw trap is worth up to $100 on today’s collector market, with the harder-to-find No. 3 and No. 4 bringing as much as $200 each, depending upon condition.